Categories: Desktop Telephone, Speech Recognition, Headsets. 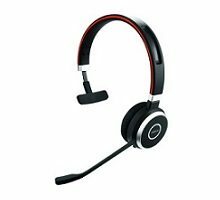 Jabra Engage 65 Convertible Headset – Mono – Wireless – DECT – 9555-553-125 – 328.1 ft – 40 Hz – 16 kHz – Over-the-head, Over-the-ear, Behind-the-neck -Monaural – Electret, Condenser, Uni-directional Microphone. 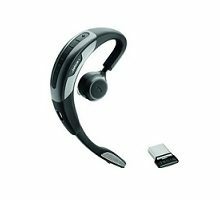 The Jabra Engage 65 is an entirely new class of DECT wireless professional headsets engineered to boost customer satisfaction. 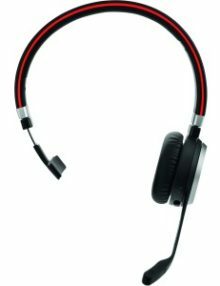 The headset takes security in wireless call to the next level thanks to its 256-bit AES encryption and 128-bit authentication. 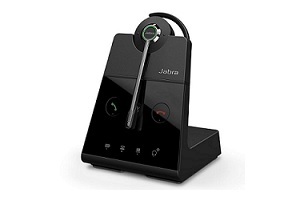 With Jabra Engage, there is increased security of the wireless connection between the wireless headset and its base unit, and rock-solid security is provided in three steps, improving the protection of calls to a category-leading level. Engineered to give more power to your conversations. • Industry-leading wireless performance and density. 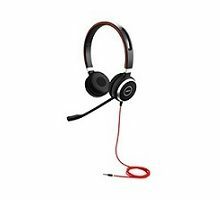 • Advanced noise cancelling microphone for crystal clear calls. • All day talk time and integrated busylight. • Lightweight headset weighing just 18g. Up to 9 hours’ talk time – and when you do need to charge, the fast charge feature powers the headset to 40% in just 30 mins. Lightweight headset at just 18g for all day comfort. Choose from earhook, headband, and neckband styles, all included in the box. 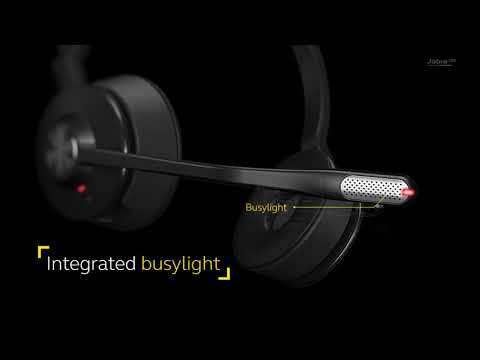 Jabra Engage 65 Convertible can connect simultaneously to up to two devices. It can connect to 1 USB device (desk phone or softphone) and 1 analog phone. The Jabra Engage 65 Convertible offers up to 9 hours talk time, depending on usage, and has a fast charge option delivering 40% battery in just 30 minutes. 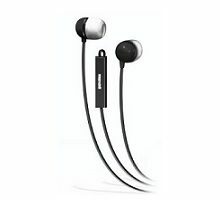 Jabra Engage 65 Convertible delivers wireless connectivity to a range up to 100 m/330 ft and enables 3x more users in the same office space – with no loss in connection quality. Yes. 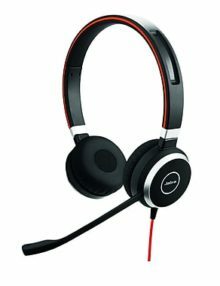 Jabra Engage 65 Convertible has Skype for Business certification. DECT standard security protects against wireless intrusion. 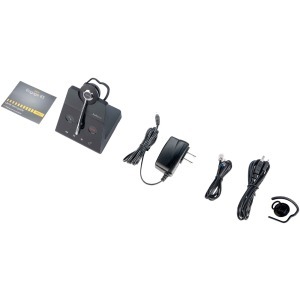 Jabra Engage 65 Convertible has features going beyond DECT secure Level C, which provides the highest protection. Can it be used in a hot–desking environment? 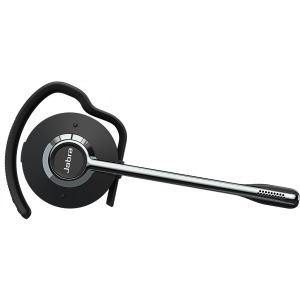 Weighing just 18g, the Jabra Engage 65 Convertible is the lightest call centric headset on the market. 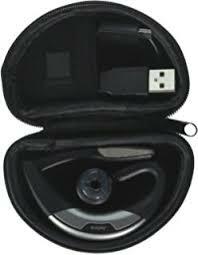 The Jabra Engage 65 Convertible comes an earhook in the box. Neckband and headband are available as accessories.